A new survey has highlighted modern renters’ concerns, from the rising cost of household bills to the price of public transport[i]. The research has shown that the cost of living is of concern to all age groups, with the cost of transport being of particular concern to Londoners. 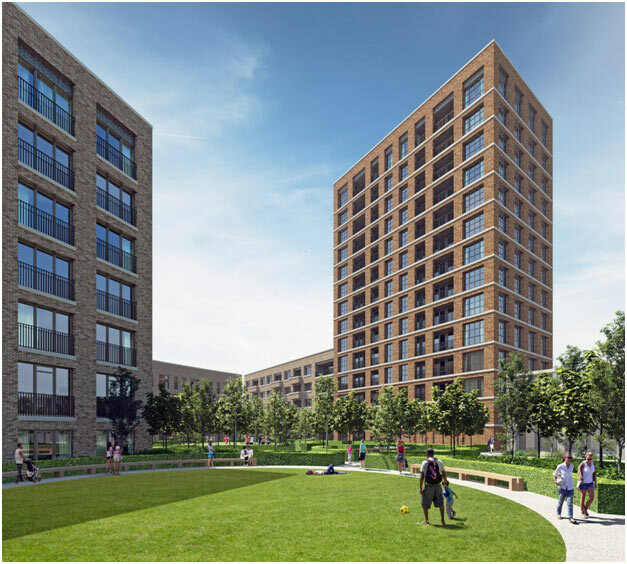 Just a short walk from Zone 2’s Canada Water tube station, Porters Edge at Waters Yards is ideally located for Londoners looking to reduce their transport costs – something which 58% of those renting in the capital would like to do. Delivered by rental specialist Folio London, Porters Edge is ideally located for easy connections into the heart of London, offering a choice of stylish one, two and three-bedroom apartments and duplexes, and a collection of four-bedroom townhouses. Its location in the bustling Rotherhithe area means that residents benefit from only needing a Zone 1 and 2 Travelcard, unlike those living further out from the centre. Residents thus save nearly £600 per year[ii] compared with a Zone 1-4 Travelcard, while also enjoying superb access to the sights and sounds of central London. They also enjoy complimentary car club membership, further reducing the cost of travel in and around the capital. Porters Edge residents also enjoy a range of on-site amenities that renters particularly value, as identified by the tenant survey, which includes a ‘would pay more for’ leader board. Top of the table were discounts, which were in demand by 67.5% of tenants. Porters Edge ticks the box with exclusive special offers for residents at the on-site café, MouseTail, while also providing the second most in demand amenity – an on-site gym – which 36.8% of renters are prepared to pay more for. Communal space (17.5%) were also on tenants’ list of facilities that they would pay more for – yet residents at Porters Edge can enjoy full access to the residents’ lounge, which comes with free WiFi, and provides the perfect setting for home professionals seeking a creative space to work, and those looking to kick back with a game of table foosball – it’s an ideal place for tenants to socialise and engage with one another. The exceptional homes at Porters Edge are the first phase of properties to be released at Water Yards, a joint venture development between Notting Hill Genesis and Sellar. The apartments and townhouses enjoy impressive views over Canada Water, Canary Wharf and the West Ends, as well as enjoying a prime location that provides easy access to daily essentials. The 234 apartments, duplexes and waterside townhouses meet contemporary renters’ needs in other ways, too. On-site facilities are outstanding. They include a state-of-the-art gym. There’s also a communal rooftop garden complete with a multi-use sports area that includes a multi-use games area, where residents can enjoy a game of 5-a-side or basketball or a tennis match, or relax in the spectacular surroundings of the podium garden. Totalling 2,900sqm, the elevated roof-top courtyard also features children’s play areas. The homes themselves are both stylish and spacious, with the range of available options meeting the needs of everyone from singletons and sharers to couples and families. Bright, fully fitted kitchens feature integrated appliances, while bathrooms provide elegant white suites and chrome fittings, and tenants can select from a range of furnishing options. All apartments enjoy a terrace or balcony, while some of the properties have direct access to the shared courtyard. Porters Edge’s private lounge, located off the inspiring super lobby, offers a welcoming environment for meeting friends and neighbours. The wider area provides a vast array of entertainment options, with the eight-acre Water Yards site located within the Surrey Quays regeneration zone. The exciting new neighbourhood will include everything from new retail outlets to public leisure facilities – all on the edge of London’s largest freshwater lake. The compelling rental offering that Porters Edge delivers has been carefully designed to meet renters’ needs. From its range of communal spaces to the 24/7 service, the development is showcasing the way in which the Build to Rent sector is stepping up to provide homes for current and future generations of urban renters. Apartments at Porters Edge are available to occupy from November 2018. Prices for a studio apartment at Porters Edge start from £1,575 per month, from £1,750 for a one-bedroom apartment, and from £2,250 for a two-bedroom, two-bathroom apartment. For more information on Porters Edge, or any of the other developments currently on offer to rent from Folio London, visit www.portersedge.co.uk or call 020 3815 2480.